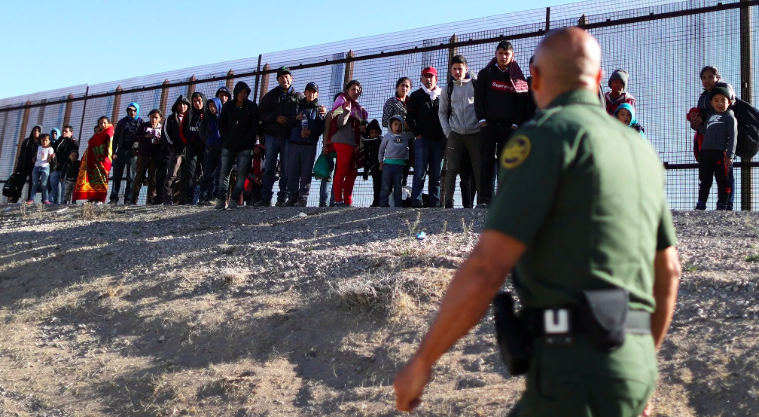 Border Patrol agents are being overrun. Thousands of illegal aliens are now crossing the border every week and thanks to Nancy Pelosi, the Trump administration isn't allowed to detain them all anymore. Sen. Ron Johnson is leading the charge to end this invasion and end this crisis. He is pushing legislation to change our immigration laws to close the loopholes that these illegal aliens are using to get into the country. President Trump is doing everything he can. He is building the wall and using foreign aid cuts and tariffs to threaten countries like Mexico into cracking down on these illegal alien invasions. But he cannot do it alone. He needs Congress to act and he needs YOUR help to force them to! Please, send your instant FaxBlast to Congress right now and ORDER them to fix our immigration laws and end the invasion at our southern border! Border Patrol and Homeland Security are begging for help. They are being overrun by illegal aliens. You and your colleagues have not only incentivized this invasion, but you have tied Border Patrol's hands. You need to take immediate action to stop this invasion at our southern border. This isn't a political debate. Thousands of completely unvetted illegal aliens are being released into the country every day because this year's spending package does not allow ICE or Border Patrol to detain them. An illegal alien woman -- Mirian Zelaya Gomez -- from the first migrant caravan last November was just arrested in Texas on charges of assault with a deadly weapon. She became famous when she complained about the quality of the food she was given while waiting for her "asylum claim" to be heard. Since she was part of a Family Unit, she got into the United States. Now, she is in jail and facing charges of assault with a deadly weapon. She savagely beat a woman who had graciously opened her doors and allowed Gomez to live with her. For decades, you and your colleagues have ignored the victims of our broken immigration laws. You have ignored real Americans being assaulted, raped, and killed by illegal alien criminals. That ends today. You know how to fix this crisis. You must close the loopholes in our immigration laws that incentivize illegal immigration. That means allowing Border Patrol to treat Central Americans the same as Mexican Nationals and deporting them on capture. That also means cracking down on asylum fraud and changing the law to allow the administration to deport UACs and family units. But that isn't enough. You also need to undo what Nancy Pelosi pushed through this year and remove the hard caps on Border Patrol and ICE detention beds. You cannot allow illegal aliens to be released into society because of a lack of beds. Sen. Ron Johnson is pushing to end this crisis and fix our broken immigration laws. You must join him. If you won't stop this invasion at the border right now, you are unfit to serve in any capacity and you must be removed from office.